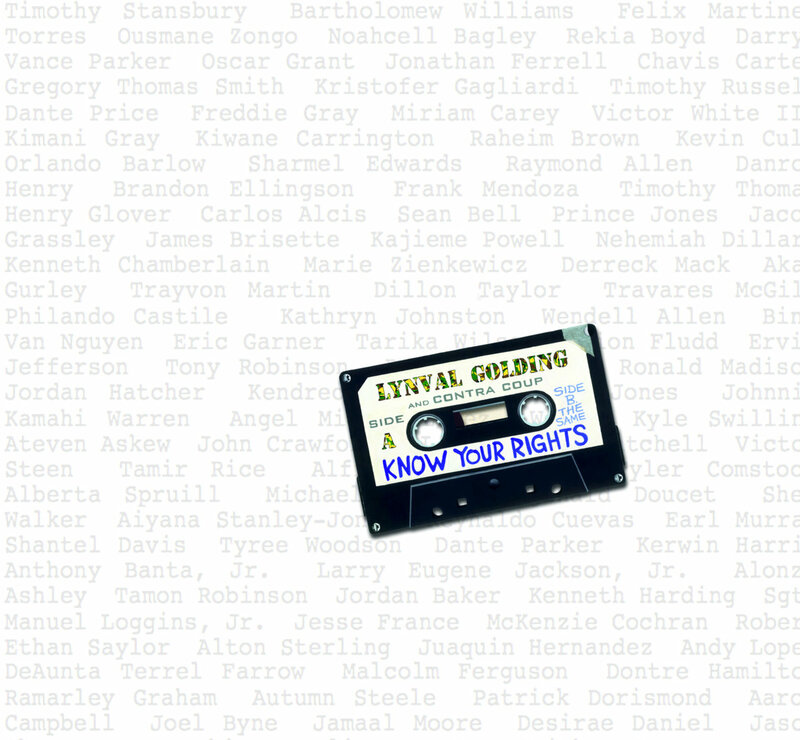 In reaction/protest to all of the high-profile police killings of unarmed black American women and men, The Specials' Lynval Golding and Austin, TX reggae group Contra Coup are releasing the Know Your Rights EP (on 12" vinyl and as a digital download, both through Bandcamp), which features their cover of this Clash track from Combat Rock. Of course, the Joe Strummer-penned track "Know Your Rights" first asserts everyone's basic human rights (the right to live, the right to basic necessities like food, and the right to free speech), but then notes all of society's restrictions and exceptions to those rights, which render them meaningless ("You have the right not to be killed/Murder is a crime!/Unless it was done/By a policeman or aristocrat"). It should be noted that the EP's cover features a Horace Panter cassette painting over the names of many of the unarmed black people killed during encounters with the police. 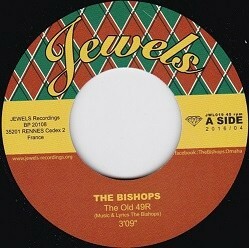 The Bishops "The Ol' 49R" b/w "The Black and Tan" (7" single, Jewels Records, 2016; available in the US through Jump Up Records): Hailing from Omaha, Nebraska (a city forever imprinted on my brain from the opening of "Mutual of Omaha's Wild Kingdom" TV show from the 1970s), The Bishops keep the heart of ska, rocksteady, and reggae beating mighty strong in mid-America (so much so, that last year they backed Mr. Symarip--Monty "Neysmith" Montgomery--on his "Jump" b/w "Laurels for Laurel" single and for his Jamaican Oldies gigs in Chicago). "The Ol' 49R" (named after the gold miners of the 1849 California Gold Rush or a type of golden ale) is a fantastically funky and sprightly skinhead reggay instrumental track, while the more modern/3rd wave ska track is a wonderful ode to the marriage of pale ale and stout ("what is created/is pure harmony"). Saddle up to the bar for this one! 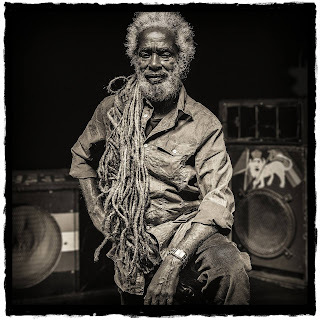 Duff Review: Max Romeo "Horror Zone"
"War Ina Babylon," Junior Murvin's "Police and Thieves,"
There's really no need for Max Romeo's new album Horror Zone to be pitched as a (very long-overdue) sequel to his iconic 1976 collaboration with Lee "Scratch" Perry, War Ina Babylon, as this conscious, roots reggae record is astonishingly good in its own right. But since his post-Babylon falling out with Perry--and despite working in the years since with an array of name producers, like Jah Shaka, Tapper Zukie, Mafia and Fluxy, even Keith Richards--Romeo hasn't come close to matching the greatness of War Ina Babylon (or his extremely underrated 1975 album Revelation Time, also known as Open the Iron Gate, which I think even outshines Babylon). So, gently forgive the necessary marketing hype that is being employed to bring attention to an album genuinely deserving of it. Romeo's key collaborator/secret weapon on Horror Zone is UK producer Daniel Boyle, who recreated Lee Perry's analog Black Ark studio set-up in his Rolling Lion studio for a series of recent albums he produced for Scratch (including the 2014 Grammy-nominated Back on the Controls) and uses it tremendously well for Romeo's recordings (so much so that they sound like warm and vital contemporaries of Revelation Time and War Ina Babylon). Occasionally, you catch familiar bits of Perry-like arrangements or percussive passages or sound effects (in the intro to "What is Life?" I hear The Congos "Fisherman")--but these are the contextual underpinnings (in a version-mad genre!) supporting terrific new tunes. 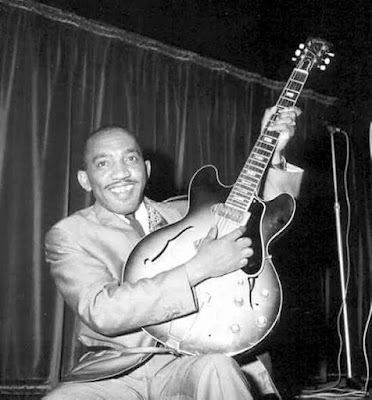 Hatchet buried, Perry himself contributes percussion, backing vocals, and effects on many tracks and their dubs here, as do several members of Perry's band The Upsetters, including Vin Gordon on trombone, Robby Lyn on keys, and Glen DeCosta on sax. What if this was the start of the Armageddon? Tell me, would you be prepared? And there's darkness all the time? What if I tell you..."
And Romeo is just getting started. Horror Zone is packed with sharp, potent lyrics full of empathy for the downtrodden and oppressed, often delivered in wonderfully catchy and buoyant songs. He decries how badly those with power treat the less powerful--depriving them of basic needs and rights, or sending them off as cannon fodder for their wars--but also points out how we choose to act in wicked ways and how poorly we treat each other and ourselves (the myriad dangers of smoking tobacco cigarettes are defined--"I have a friend who has a daily pack/I tried to tell him that he should not/No matter what I say, he wouldn't stop/Now he's laying in a cemetery in a numbered spot"--as much of Rastafarianism is concerned with maintaining a healthy body). Yes, we are fed up..."
Much like Black Uhuru's song of the same name, Romeo's critique of Babylon continues in "What Is Life?" --particularly how our systems of government/economy purposefully deny vast numbers of people the basic things they need for a decent existence, restricting them to lives full of nothing but deprivation and misery. Are you happy to see your children hungry? When you have to live it under strain"
Mournful violins introduce the tragically beautiful and evocative "The Sound of War." Listening to this track, you can almost see the biblical-looking Max Romeo on a bluff overlooking the valley below that is soon to become a combat zone, describing all he witnesses. With its references to wars waged to supposedly spread/protect freedom and democracy, one also can imagine this song is aimed at the United States' disastrous, Bush/Cheney-led imperialist occupations of Iraq and Afghanistan (and the disposability of its soldiers afterwards...). Is Babylon unleashing all its might? Nowhere to rest their pack"
My favorite cut on the album is the joyous (despite the lyrical content) title track, "Horror Zone" (that has echoes of Willie Williams' "Armagideon Time"/Sound Dimension's "Real Rock" riddim within), which places a lot of the blame for our current mess on our own choices and for failing to follow a righteous path. The album proper finishes with a prayer of thanksgiving/warning to the unrepentant: "Give Thanks to Jehovah" (or else). Horror Zone is accompanied by track-for-track dub versions (on a second LP in the vinyl version), all expertly crafted by Boyle (I really like "What is Dub?" in particular). 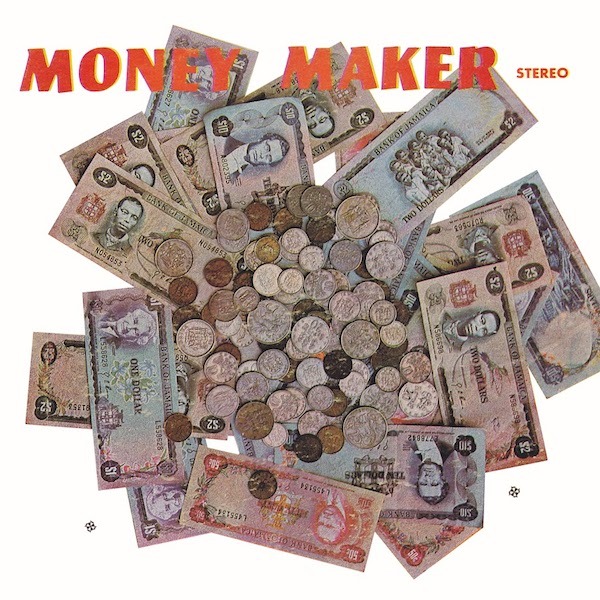 Several feature Lee Perry on vocals and effects ("What If Version," "Horror Zone in Dub," and "Give Thanks Dub"), which take them to a whole new level of wonderful, otherworldly weirdness. Somehow, all of the stars aligned for Max Romeo's phenomenal Horror Zone to come to fruition, so do all that you can to track down this (somewhat hard-to-find in physical form) album. 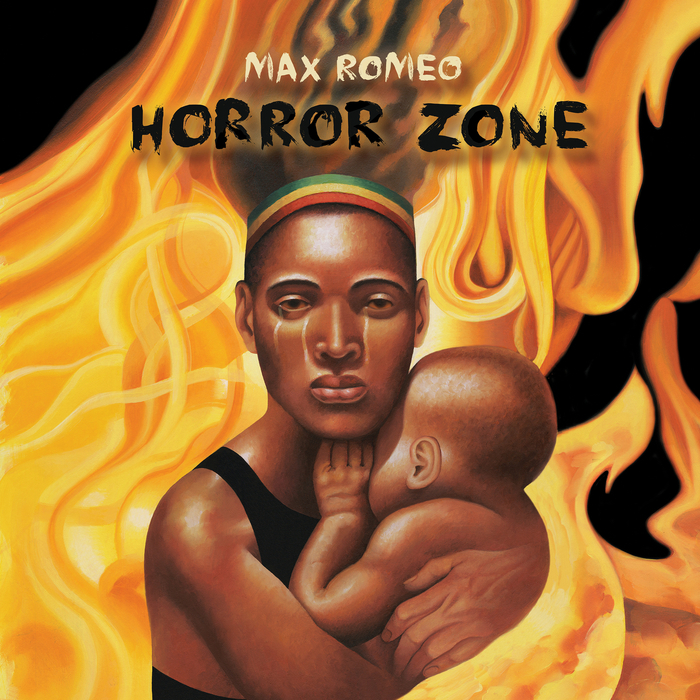 You don't want to miss out--Horror Zone is likely destined to become a new roots reggae classic. 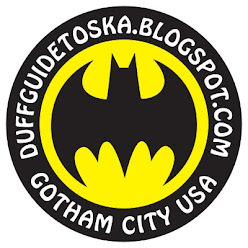 Forty years ago yesterday, August 14, 1976, Stiff Records issued their first release, Nick Lowe's single "So It Goes" b/w "Heart of the City," and launched one of the most successful independent punk and new wave labels known to humanity. Stiff, of course, was home to several notable ska acts, including Madness, Desmond Dekker, The Untouchables, and The Equators. Inspired by Twain's quote above, Germany's excellent ska/rocksteady act Yellow Cap has released a terrific new single which promotes the message that encountering and embracing different peoples and cultures (and music!) 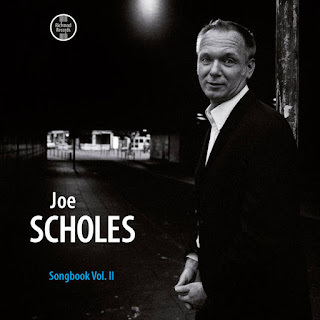 is a powerful antidote to the racism that is often born out of parochialism and ignorance (chorus: "I wanna go around the world with you/See everything with my own eyes"). 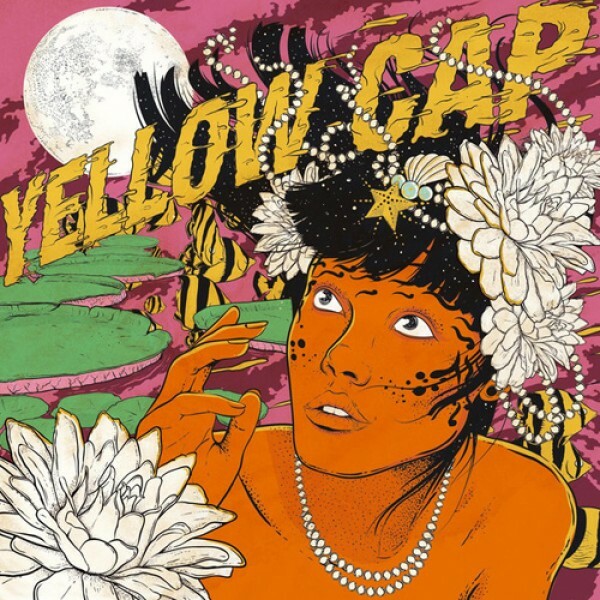 But Yellow Cap also epitomize this notion, as they sojourned to Sao Paulo (for their fourth tour of Brazil) to record "Around the World" (check out the video! ), which was produced, recorded and mixed by American Victor Rice, features Brazilian rapper Lurdes da Luz as well as the band Projeito Brasilidade and their singer Fernanda Sant'Anna, and sung in English, German, and Portuguese. The flip side contains the riddim track for budding DJs to chat over and recount their own journeys of discovery far from home. Here's hoping that Yellow Cap stay on the road and keep taking quick breaks to record more music like this!